Palram Gazebo Curtains: This set of Gazebo Curtains are the perfect addition to your Palram Palermo Gazebo. 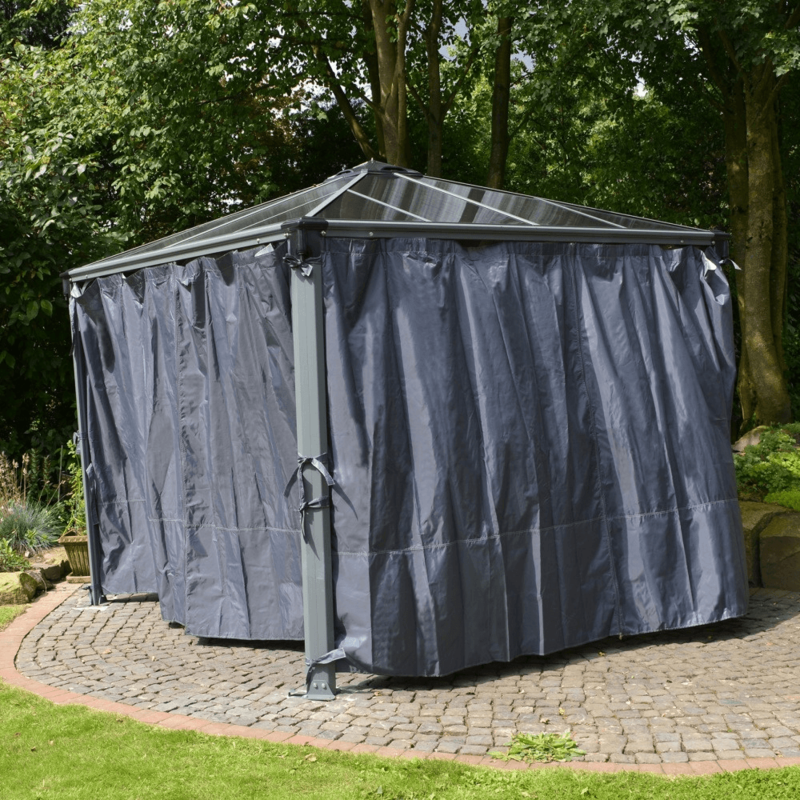 The curtains are available in grey to match the gazebo frame and will provide you with protection from the elements. It will also add privacy for the inside of the gazebo so that you can dine or relax outdoors in peace. The netting is easy and simple to fit and will come as a welcome addition. Simply tie the curtains back when they are not in use to keep them out the way and create an attractive appearance to the outside of your Palram Gazebo.